This return to form is something that is present throughout much of the record. The opening track, “Killer in the Mirror,” sees Cody delivering an eerie and aggressive vocal performance, as a haunting, fuzzed out guitar drives the verse. Horns adorn the background of the chorus, and the song sets the pace for what is to follow. “No Disrespect" comes with pounding drums, tasteful guitars, and the anger-ridden and witty lyrics that Cody Carson is well known for. The familiarity of said songs is sharply contrasted with the pop experimentation that became more prominent in recent Set It Off material, with “Lonely Dance” and “I Want You (Gone)” being primarily pop and electronic oriented, invoking the urge to dance within the listener, while still containing anthemic hooks that sit right at home on this record. Songs like “Go to Bed Angry,” which features a beautifully executed conversation between Cody and indie-pop artist Wayfarers, and “Unopened Windows,” a proper piano ballad, showcase a softer side of the band, maintain a familiar sound and live instruments, and provide emotion-driven performances that are easy for a listener to connect with. The most fascinating and truly unique part of this record is the band’s ability to bring the aforementioned return to form and further experimentation into the same songs. “Hourglass” is an excellent example of this, with a driving, theatrical verse that fakes the listener out. Expecting an equally driving chorus, the song instead cleans itself up with a very pop-driven and catchy chorus. “Midnight Thoughts” is lined with strings and sharp accents in the instrumentation that keep the listener’s ears attentive throughout, before opening up into a chorus of catchy melodies and sing-along moments that will surely have audiences singing along. 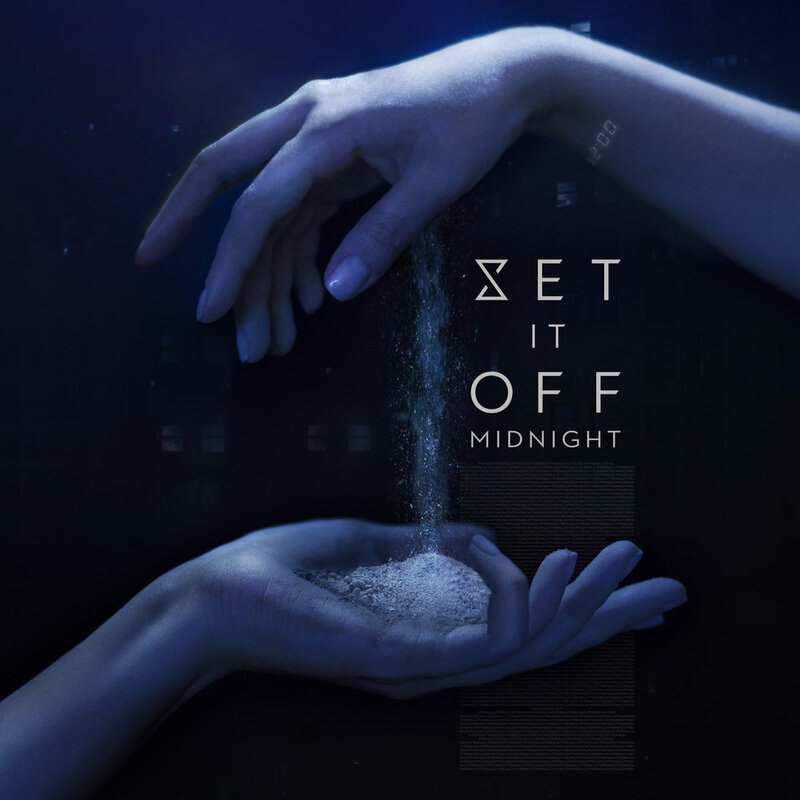 With Midnight, Set It Off accomplished a great feat of marrying aggressive vocals and pounding drums with electronic sounds and catchy hooks. The experimentation of their recent works is present, but the energy and life of their earlier catalogue is also recognizable, creating a Set It Off record that is diverse, familiar, risk-taking, and exciting. The wide spectrum of sounds caters to a variety of listeners, and this record feels like a newly refreshed and newly refined version of the band.